Last week, we went for a walk in an affluent neighbourhood nearby, to explore. 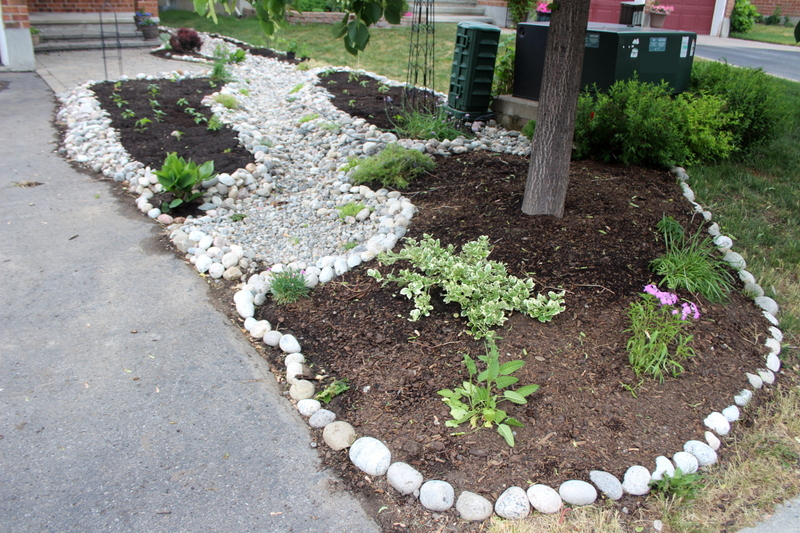 After our own edible landscaping project completion, I was curious to see what people do with their front yards, especially those people who have more land to sculpt. 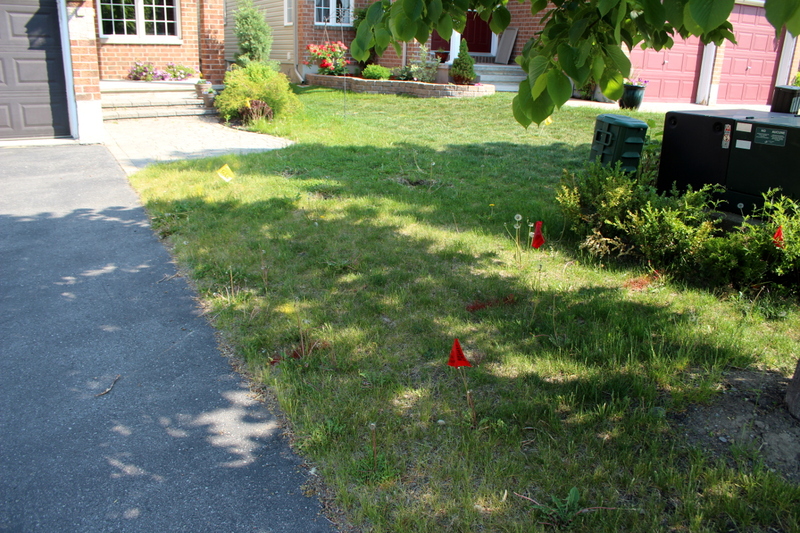 To my disappointment, most front yards were lawns, with barely even a flower to be seen. Some even had fake grass, like the synthetic turf they use on some sports fields (this one is beyond me). Then we went a bit closer to home. 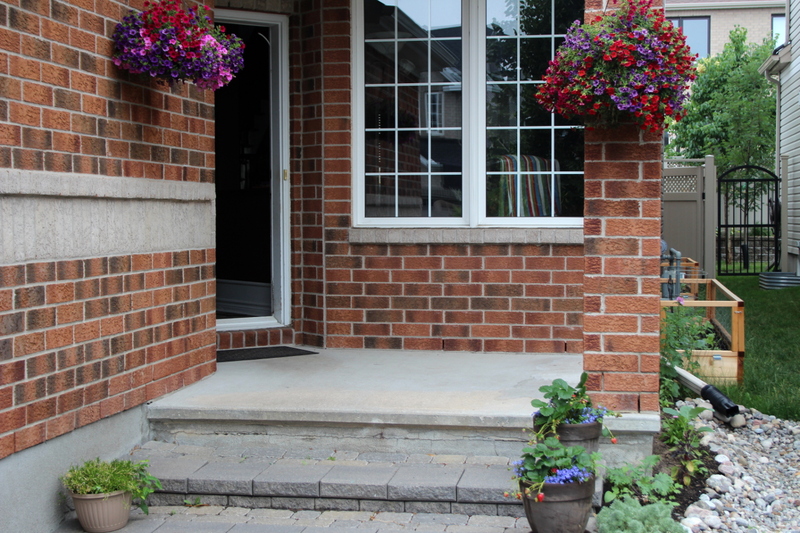 Many houses here had landscaping with flowers and lawns. Yet we have found only two houses – both on corner lots – that had extra land on the side and had it landscaped to grow food, with raised beds and trellises. 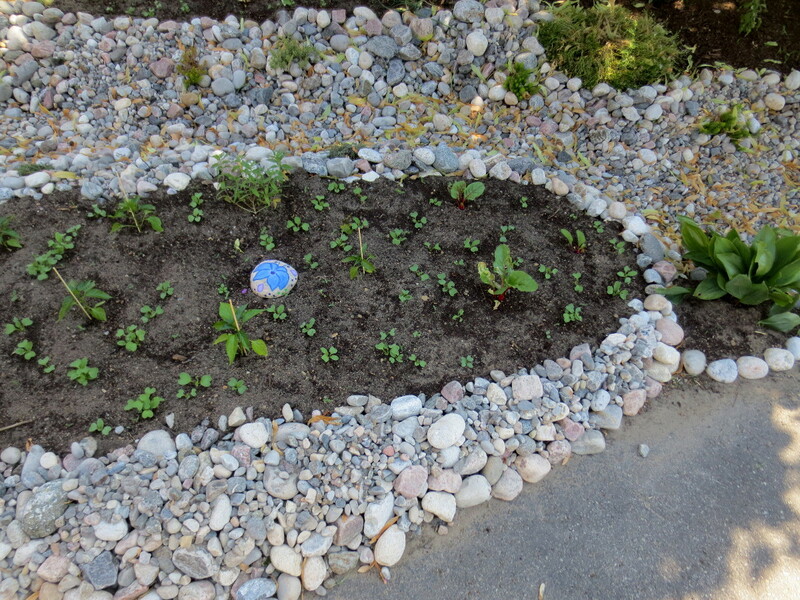 On another corner lot that has a beautiful alpine garden in the front (most of it rocks, trees, and flowers), when looking closely, I have spotted cabbages planted among the poppies. 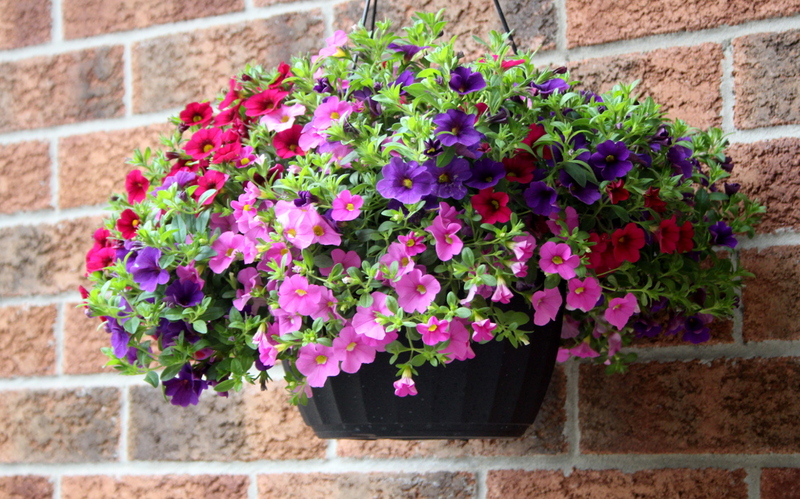 I’ve lived in a place before that had only a balcony, and I’ve managed to grow plants there in pots. 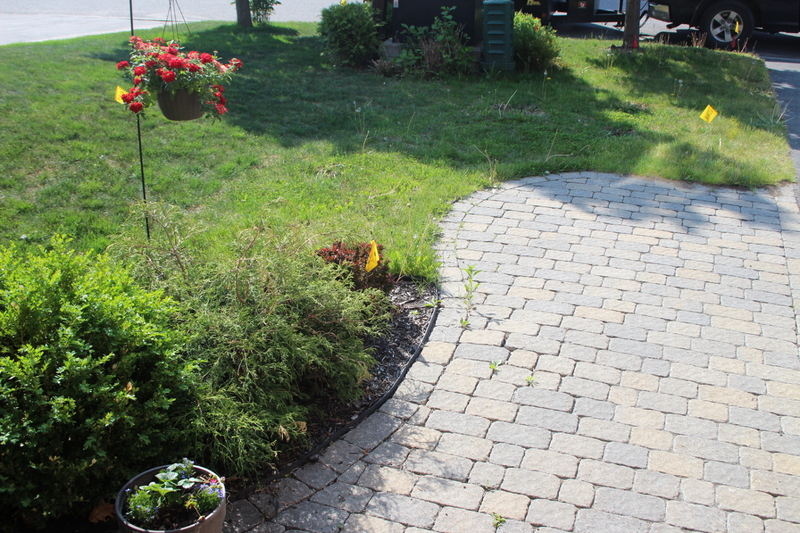 I’ve lived in another place that had a small patch of ground attached to it, covered with patio stones. 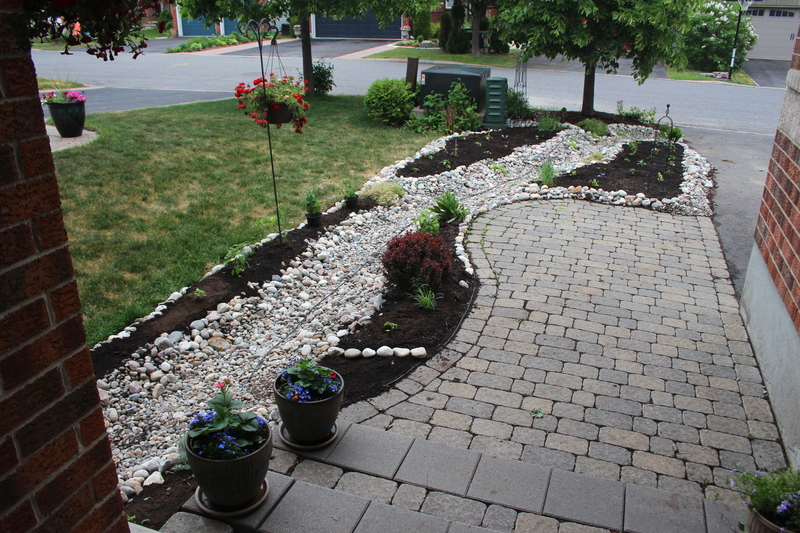 We removed the stones and created a highly productive garden in that tiny space. Every day, we drive by a second-story apartment that has every inch of the roof-top veranda covered in plants in containers, and the tomatoes I can see from the road are growing beautifully. People without access to ground level or with access to small spaces do wonders growing food there and having a green oasis to enjoy. It baffles me when home owners who have plenty of land spend quite a bit of time taking care of their lawn (watering, weeding, mowing, even fertilizing it), to get a plain green ornamental carpet. They pass on the opportunity to bring into their lives a green space, full of birds and butterflies, that grows delicious food and is a delight for adults and children. 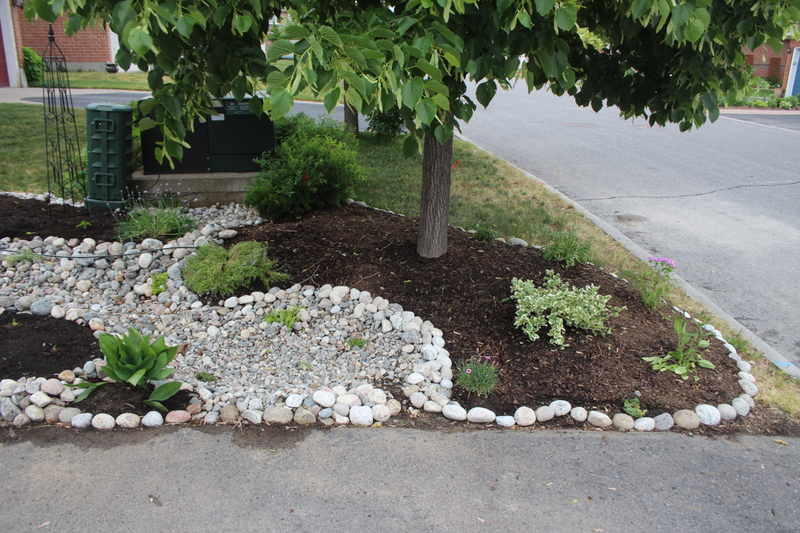 Given a narrow shape of our front yard, the curved design of the pavement and the existing tall tree near the road, the design was born to have the river bed snake in between the two large garden beds. 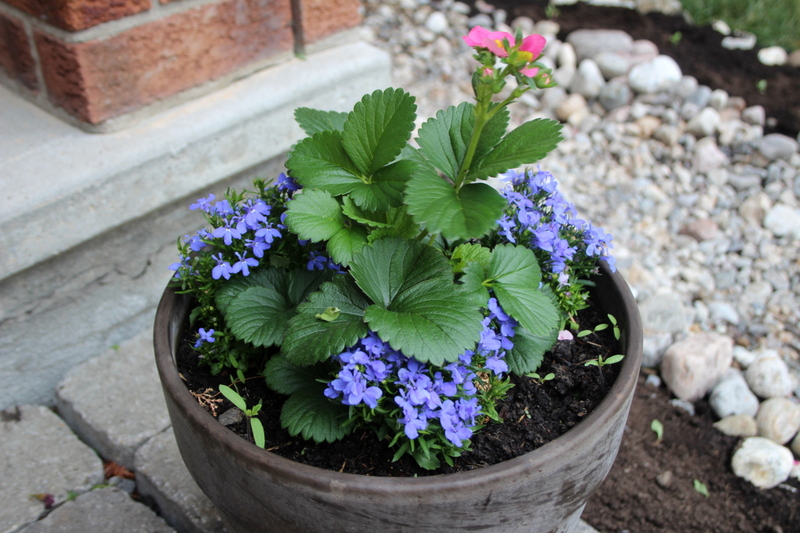 While I was waiting for the stars to align for work to begin, I’ve started seeds and planted strawberries and lobelia in two pots on the front porch. 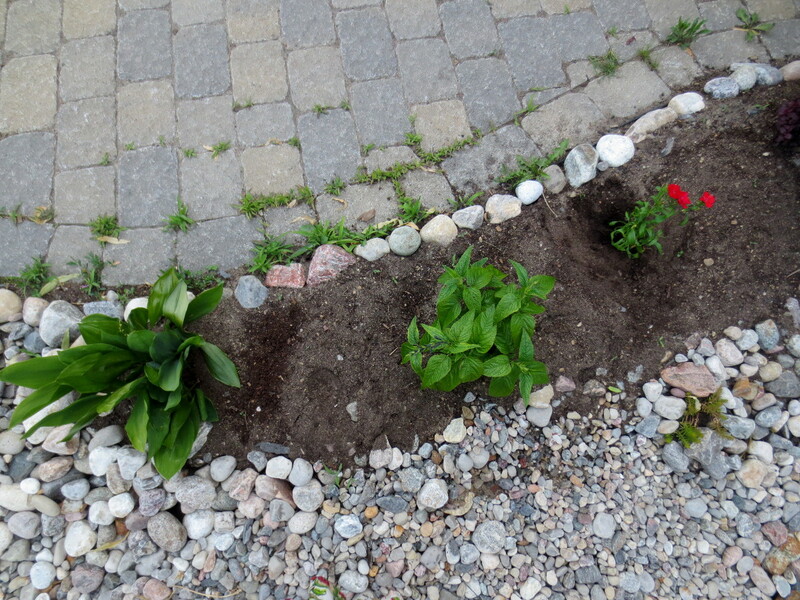 Even in the small spaces on the sides of the river bed, I have planted herbs – salvia, lovage, basil, kari, and placed two pots with mint, so that it doesn’t get a chance to spread its tentacles all through the soil. 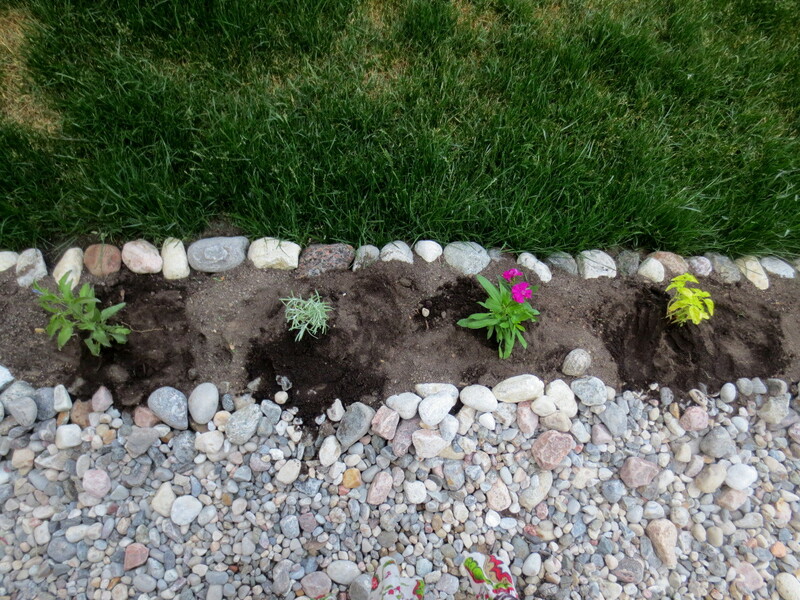 I’ve interplanted ornamental flowers with herbs. I love the different shades of green that together with the black of good soil become the backdrop for a variety of colours and shapes that each plant brings. Even in the narrow space along the porch, I am growing cauliflower, kale, radishes, and herbs. 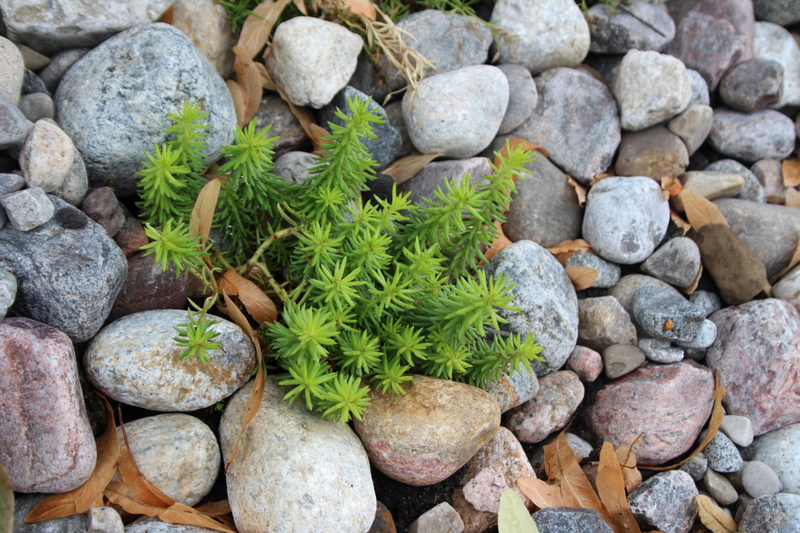 Sedum and thyme bring a splash of vibrant green over the natural texture of the stones. 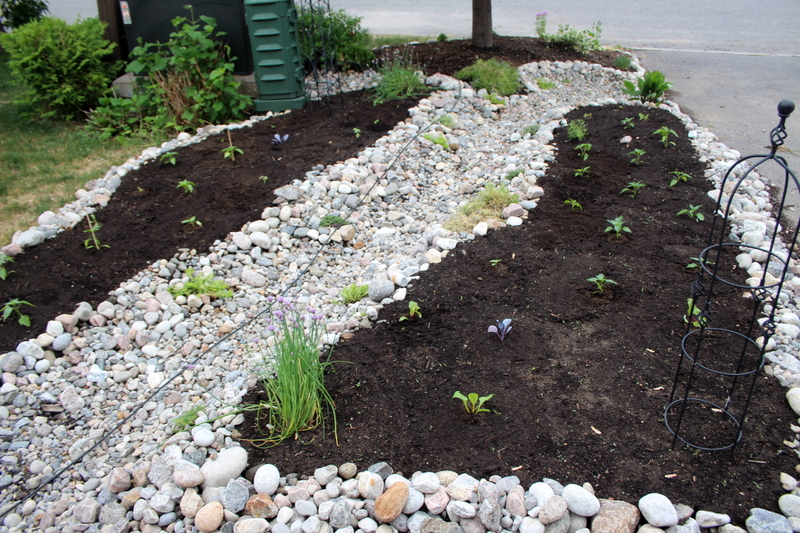 The river bed ends in a small round pond where the water collects during rain and gradulally flows out. We have built another raised bed around the front tree. 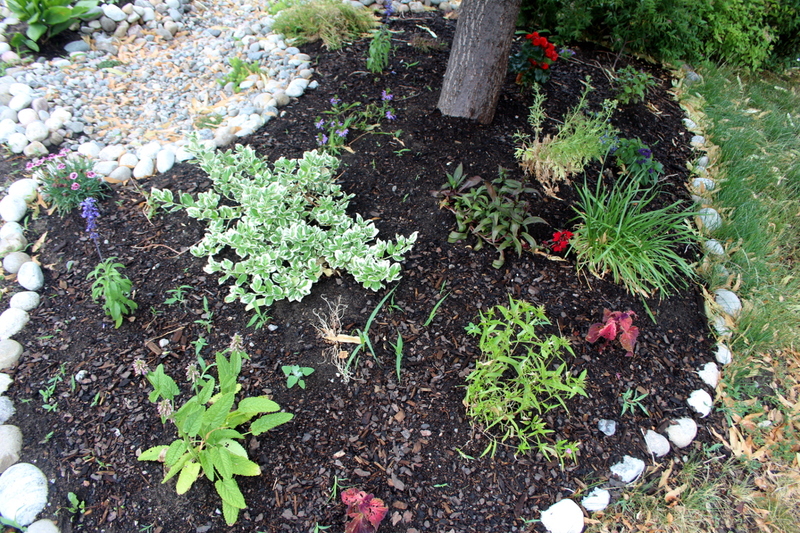 Since it’s so close to the road, I’m mostly growing ornamentals there. 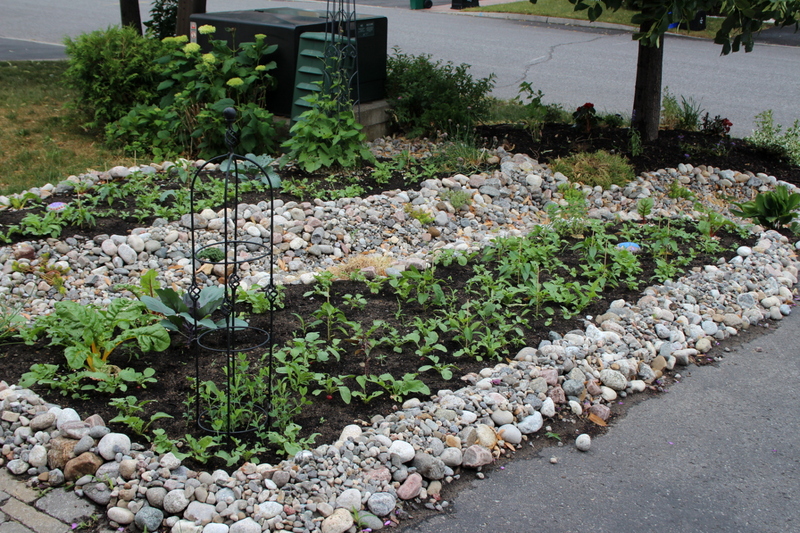 I will likely be planting tulip, lily, and hyacinth bulbs come fall, and perhaps will replace some of the annual ornamentals with swiss chard and other colourful edibles next year. 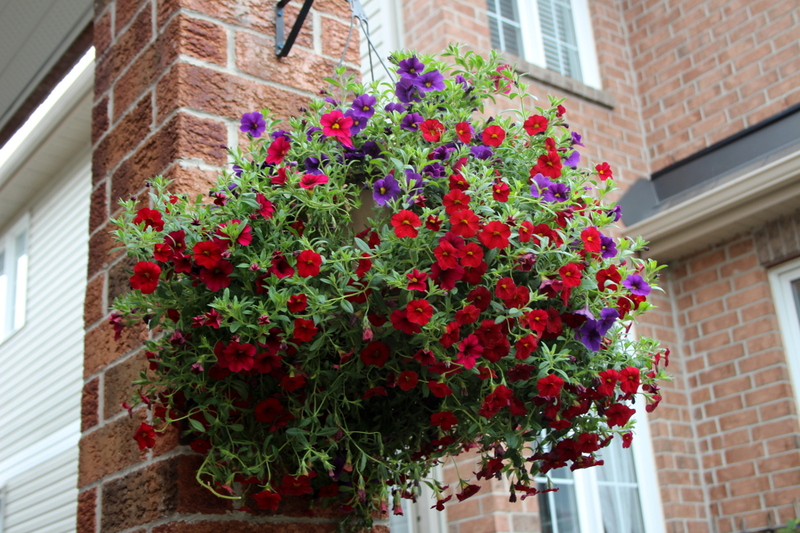 Many ornamentals are orange and yellow, yet I prefer the blues, reds and purples, so I have kept the decorative plants to that colour scheme. Reds make for a bright accent to all the greenery. 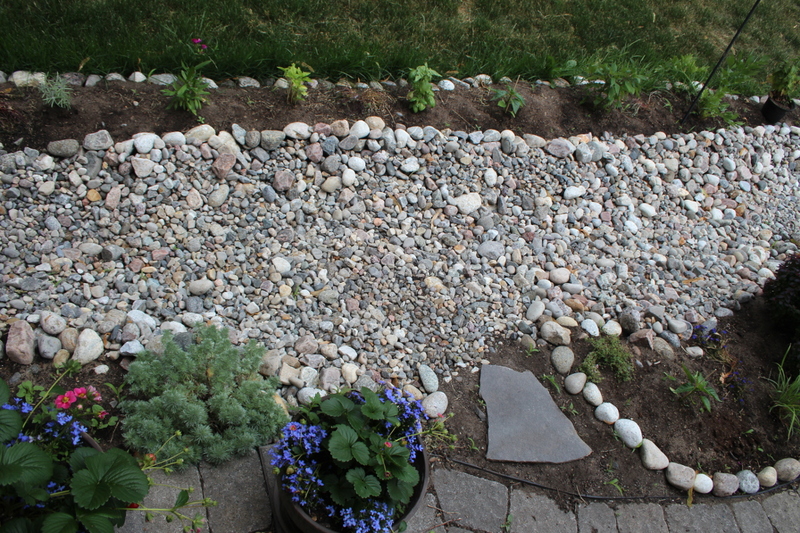 I have finished the rock borders and have placed a stepping stone in a place where one can cross the river bed to get to the back yard. 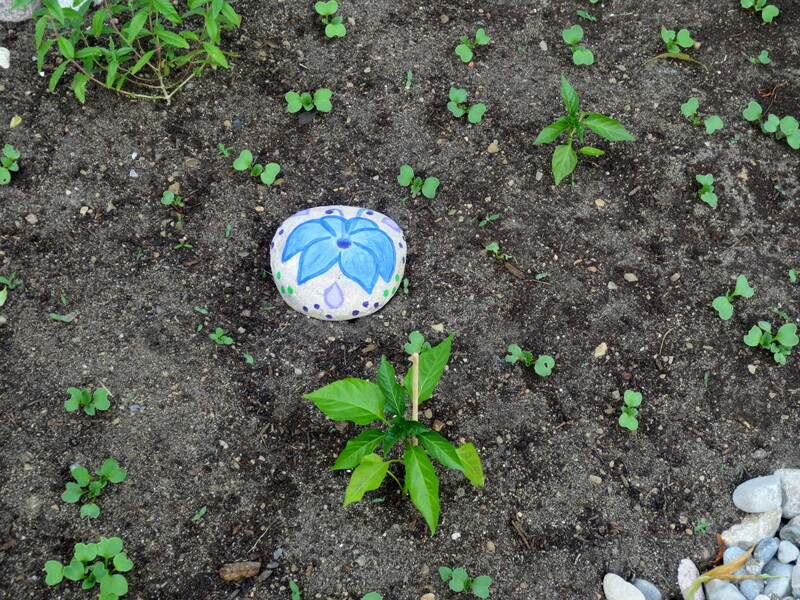 One of the garden beds covers our property’s water shut-off valve, so I have painted one of the river rocks to mark that spot. One of my favourite aspects of design is the combination of function and aesthetic. 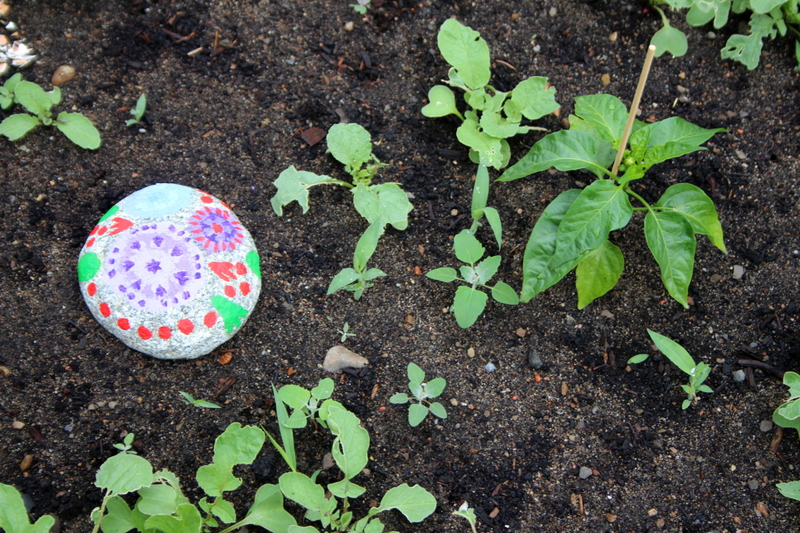 For a visual balance, I’ve placed another painted rock on the second river bed. 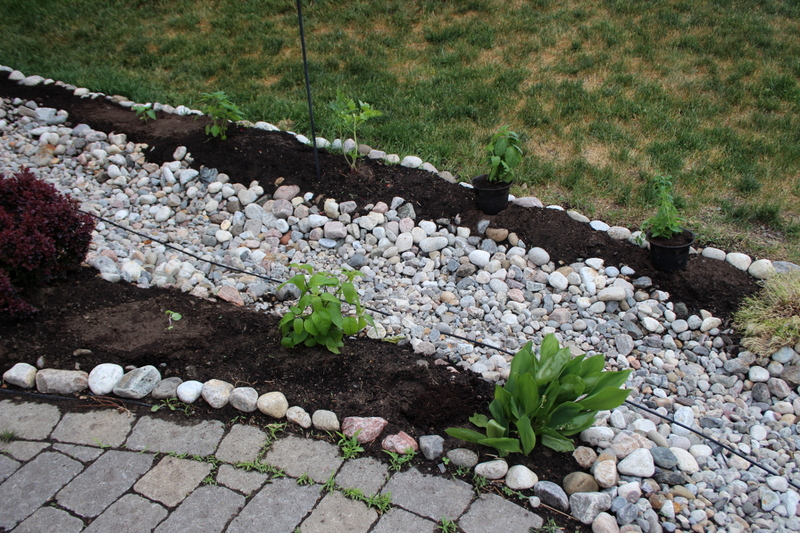 And here are the beds three weeks after planting. 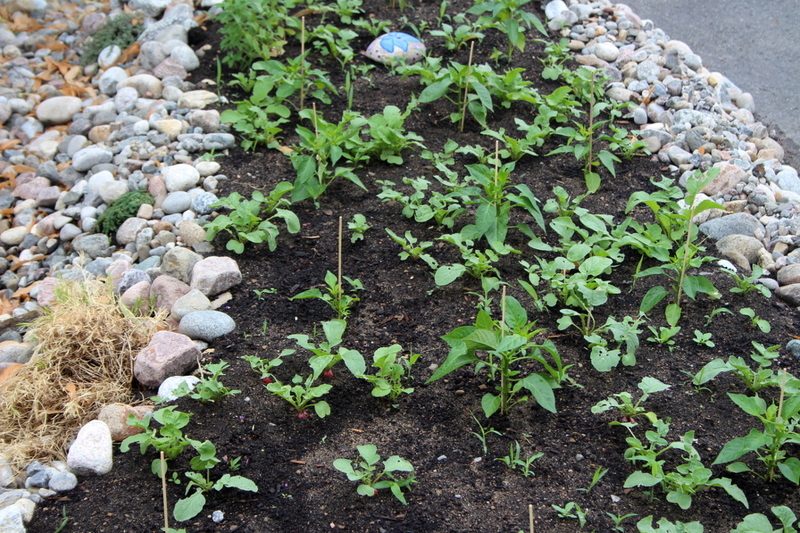 Peppers, radishes, and herbs are happily soaking up the sun. 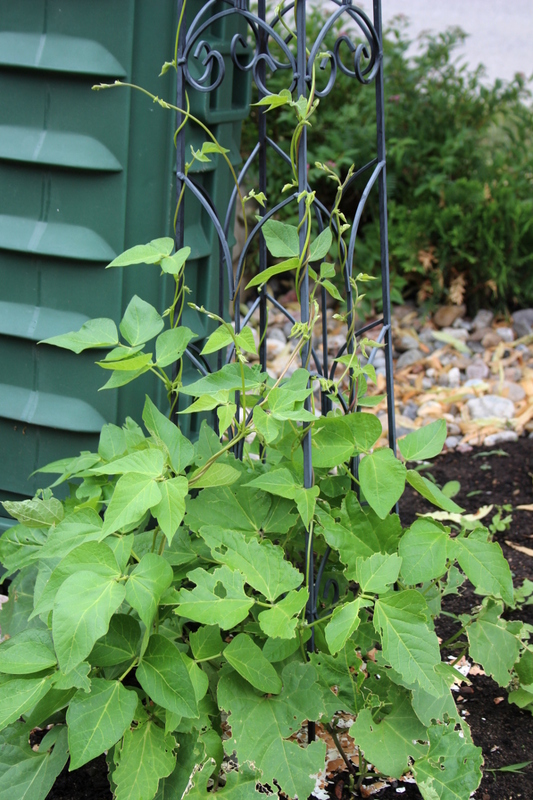 Beans and peas are getting taller. 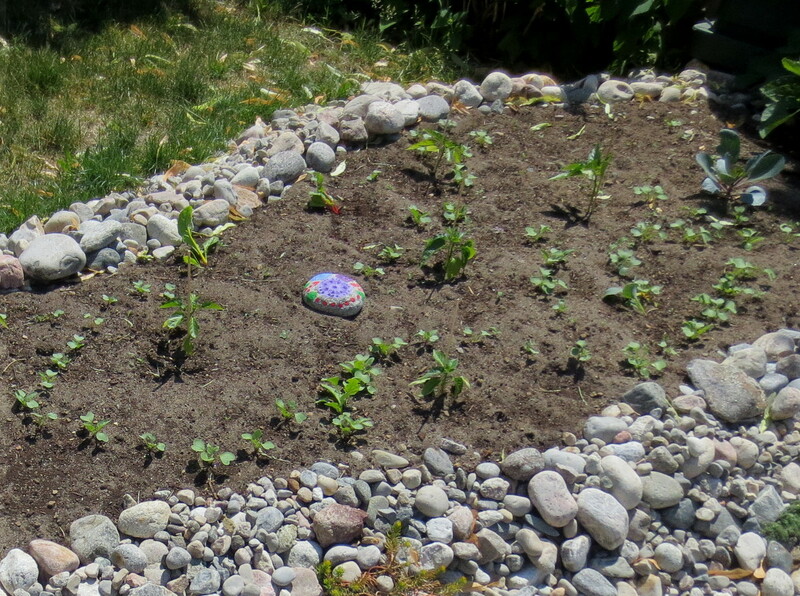 Swiss chard and cabbage are happy in full sun, and it looks like a neighbourhood bunny is frequenting our garden and sampling the greens. And it’s a pleasure to walk between the beds on the rocky river bottom. Sedum and thyme in between the river rocks seem quite happy. 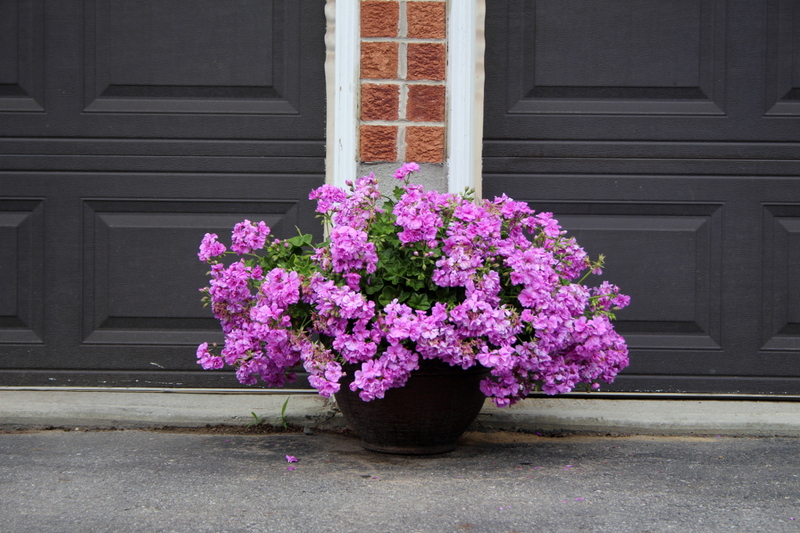 My centerpiece lilac geranium is covered in blooms, with green barely visible. 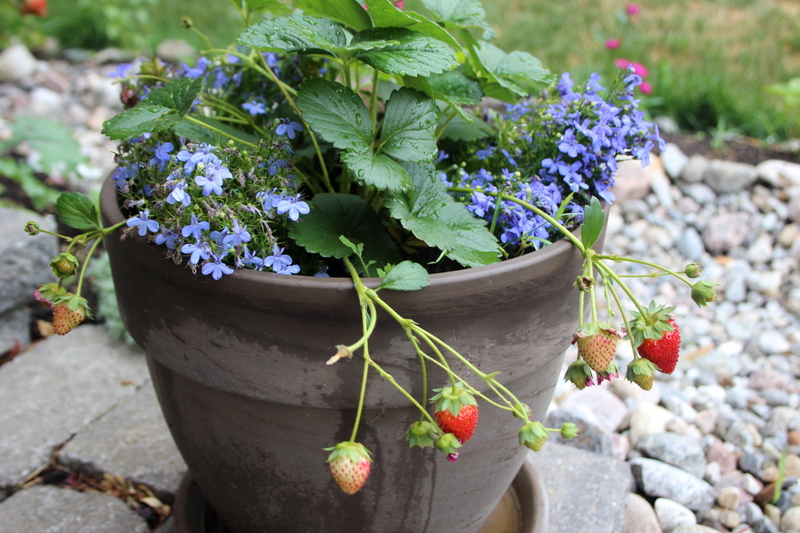 Almost every day now, there is a strawberry or two to enjoy. The kids love finding ripe berries in the morning. Last year, when we moved to our new place, we spent a few months making it cozy and functional on the inside. 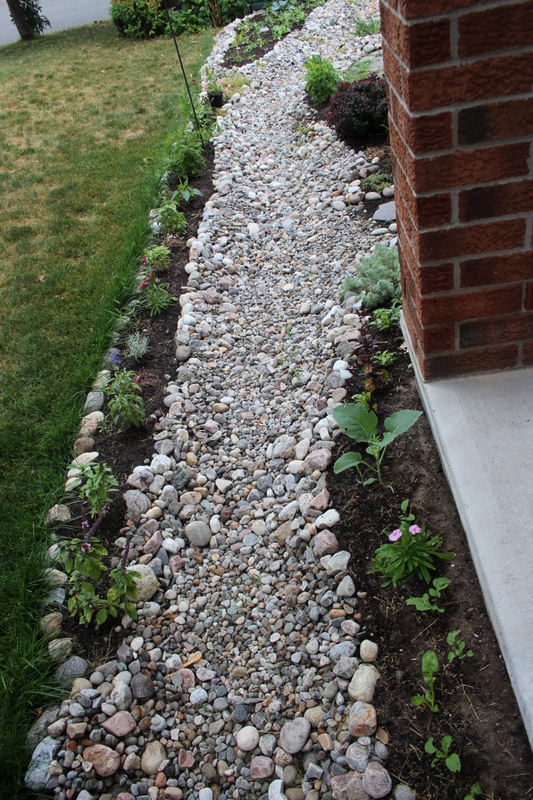 This summer, my garden meets me when I come home. I can’t wait to go outside, to breathe, to ground myself, to let my eyes rest and my worries lighten when I look at all that grows and blooms around me. 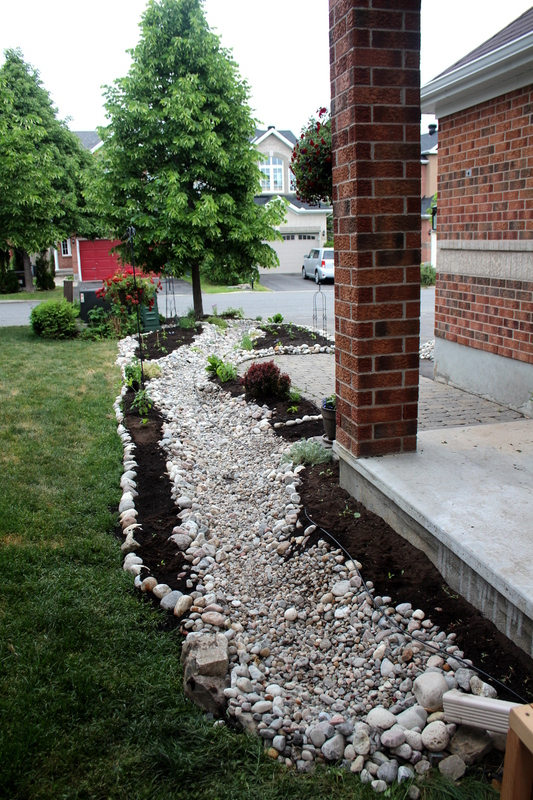 If you are inspired, here is how to build a river bed on your lawn, with photos of the construction. 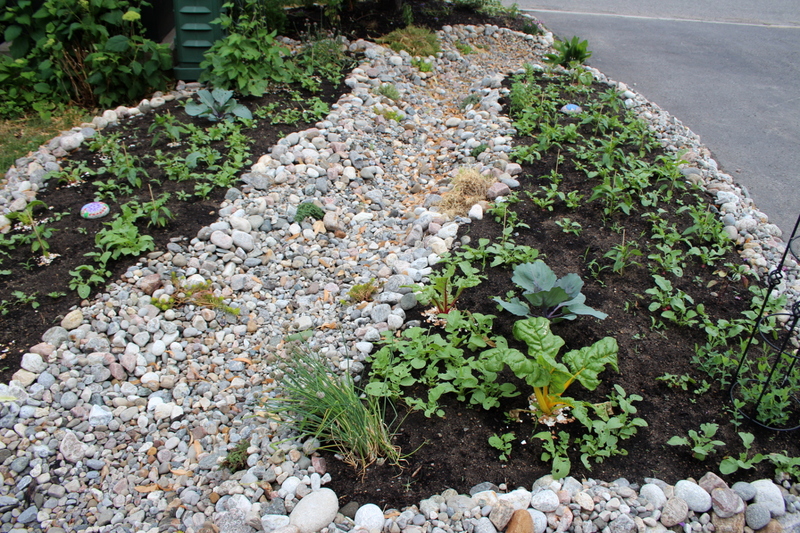 ditch the lawn, edible landscaping, efficient home, garden, grow your own food, reclaim small spaces. Bookmark.